Did you? You know. Name your car? 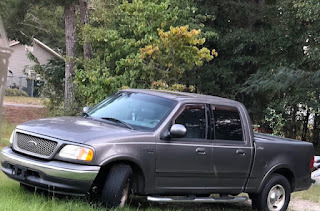 In 2003, I bought myself a truck. A shiny, almost new Ford (imagine that) F-150 pick-up with only 4500 miles. And yes, she does have a name. Sis. I loved that truck, still do as I own her to this day. She and I traveled to many a book event together and quite a few mini vacations with the children and grandchildren. Fun memories. She remains near and dear to my heart. After some years of paying big bucks at the pump, I decided to give Sis a rest and buy a smaller vehicle, an SUV to save a little on gas and still get me to the occasional writer's meeting or book signing. 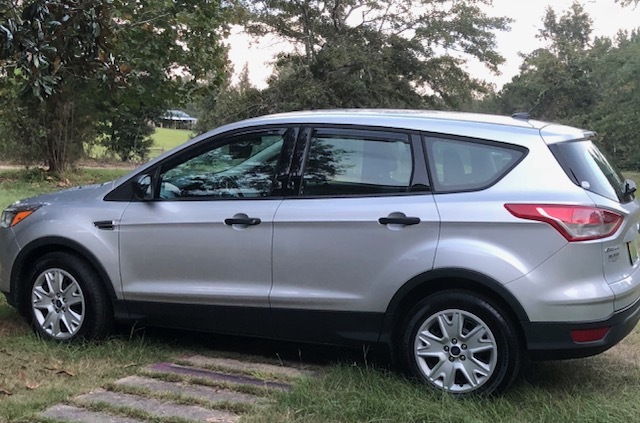 I chose a 2015 Ford (there it is again) Escape and love driving her. Her you ask? Why yes, Sis now has a little sister . . . Baby. And I love her too.